Many beaches offer bustling boardwalks with amusement rides, museums, ice cream parlors, and candy shoppes, with opportunities for water and beach sports for the entire family to enjoy. Others host annual kite festivals, sandcastle competitions, or family beach sport challenges, with educational programming leading families on nature hikes or teaching visitors about local marine life. Orange Beach is a popular hub for watersports along Alabama's Gulf Coast, located conveniently between Mobile and Pensacola, Florida. The beachfront city, which overlooks beautiful Mobile and Perdido Bays, is home to the Gulf's second-longest pier and is a great choice for families looking for a beach getaway. The Wharf entertainment complex offers a laser tag arena, a mini golf course, and one of the Southeast's tallest Ferris wheels, while the nearby Park at OWA boasts high-thrill rides and roller coasters. Families will also love the Alabama Gulf Coast Zoo, popularized as the "Little Zoo That Could" by Animal Planet. Kid-friendly dolphin and fishing charters are offered by excursion companies, with fun pirate-themed cruises available for the entire family. 32 miles of pristine white sand beaches won't disappoint, with lifeguards on duty to watch over young ones between March and September. Coronado Municipal Beach has been ranked as America's best beach by the popular annual survey by "Dr. Beach," ranking the nation's public beachfronts by a combined scale of environmental quality and visitor amenities. 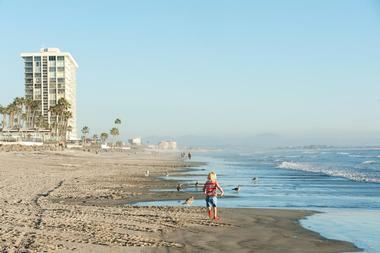 The spectacular San Diego beach, which showcases unique glittering sand due to the presence of mica, is home to four separate beachfront areas, including Centennial Park, Coronado City Beach, Glorietta Bay Park, and Tidelands Park. All beachfront areas are safe for young ones to play at, with calm tide pools located near the historic Hotel del Coronado, constructed in 1888 as one of the American West's most impressive 19th-century resorts. Volleyball courts abound for visitor use, with ideal weather conditions for kite flying and skimboarding year-round. The nearby Moo Time Creamery is a popular spot for frozen treats, while fire pits along the beach's northern end make for great s'mores roasting sites. East Beach is a world-famous volleyball beach in Santa Barbara, flanked by some of the city's most beautiful and luxurious resorts. The beach, which is separated from nearby West Beach by the bustling Stearns Wharf, offers ideal amenities for a family day outside, including children's play areas, rollerblading paths, and lifeguards staffed on duty daily during the summer months. Kayaking, windsurfing, paddleboarding, and sailing are popular watersports, with rentals available through East Beach Rentals. A plethora of family-friendly activities are offered at Stearns Wharf, including the Santa Barbara Museum of Natural History's Sea Center, which offers a 1,500-gallon tide pool and a shark touch tank. Afterwards, kids can try delicious specialty candies at Mother Stearns Candy Company or choose from 32 flavors at the Great Pacific Ice Cream Company. Van Damme Beach is a lovely day-use beach located within Van Damme Beach State Park, located at the edge of the Little River near the town of the same name. The beach is a popular spot for beginner swimmers, kayakers, and scuba divers due to its calm water conditions, created from rocky shields on either side of the beach that protect waters from strong waves. Families can also hike, mountain bike, fish, and wildlife watch within the state park's nearby grounds, which including a quarter-mile ADA-accessible boardwalk within a beautiful pygmy forest. Camping areas include hike-in sites within a spectacular redwood forest area, located within easy walking distance of the beach. Summer interpretive programs are offered for young visitors ages seven to 12, including campfire programming and junior ranger activities. 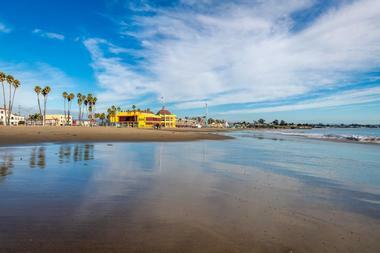 Santa Cruz Beach is one of Southern California's great throwback beach resorts, known around the nation for its century-old boardwalk, which was constructed as the "Coney Island of the West Coast" in 1907. Today, it is home to two National Historic Landmark rides, the vintage Looff Carousel and the thrilling Giant Dipper Roller Coaster. Over 40 other rides and attractions are also offered at the free-admission boardwalk, along with an indoor arcade, miniature golf course, laser tag arena, and the scenic Sky Glider funicular, which offers spectacular views of the Santa Cruz Mountains. Classic boardwalk delicacies are offered at every turn, including deep-fried Twinkies, funnel cakes, churros, and saltwater taffy. During the summer months, weekly outdoor movie and concert series keep the fun going throughout the evening hours. 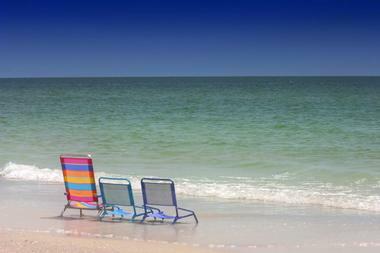 Clearwater Beach is a laid-back beachfront city located conveniently between Tampa and Orlando, serving as a popular launching-off spot for family vacations to Walt Disney World, Universal Orlando, and Busch Gardens. 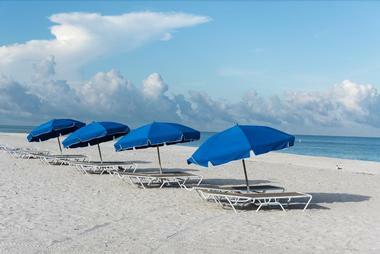 Its pristine white sand beach has been consistently ranked as one of the top beaches in America by international publications such as USA Today, stretching 2.5 miles along the Gulf of Mexico on a barrier island off the Florida coast. Jetskiing, parasailing, and stand-up paddleboarding are popular activities in the water, while rollerblading and cycling paths span a beautiful beachfront promenade area. A plethora of family-friendly attractions line the lively Pier 60, which hosts nightly street festivals featuring craft vendors, musicians, and performers. Family attractions include the Clearwater Marine Aquarium, which offers Sea Life Safari eco-tours giving young ones up-close experiences with marine life. 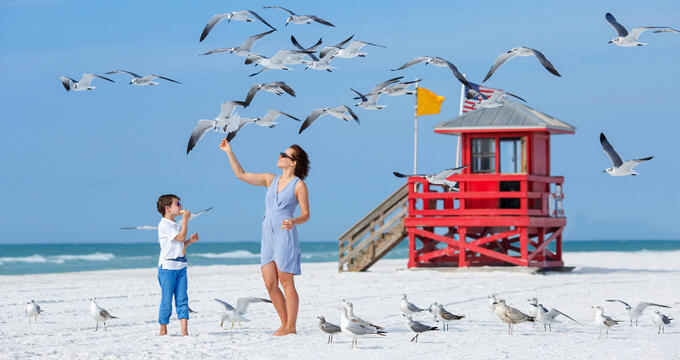 St. Pete Beach has been ranked as one of America's best family beach towns by Parent Magazine and TripAdvisor, known around the country as Florida's "Sunset Capital." The charming, relaxed beach town is located on a barrier island near St. Petersburg, offering a lively downtown district along Corey Avenue lined with eclectic boutiques, restaurants, and bars. The area receives an average of 361 sunny days per year, ensuring that any family vacation at any time of the year will offer perfect temperatures and calm, clear water conditions. The Gulf Beaches Historical Museum showcases interesting exhibitions on the area's history, while the historic Don CeSar Hotel offers luxurious accommodations and grand architecture. Families can enjoy pirate-themed cruises aboard Captain Memo's Pirate Cruise or zip down three-story water slides at Tradewinds Island. 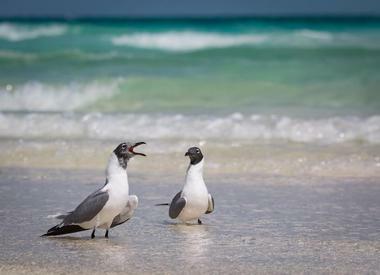 Siesta Beach is a beautiful pure quartz sand beach on Siesta Key, located near Sarasota and acclaimed as one of America's most stunning powder white sand beaches. 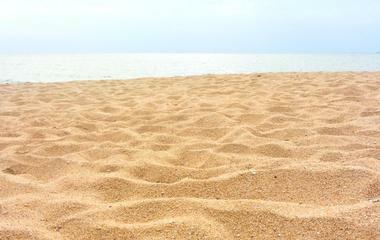 The eight-mile beach's cool, soft sands are perfect for strolling, retaining their texture and temperature year-round for safe play for young ones. Children's playgrounds, concession stands, and volleyball and tennis courts are offered on site, with lifeguards staffed on duty during the summer months. Shallow waters make for excellent swimming conditions for novice swimmers, with beach wheelchairs available for visitors with mobility concerns. The beach's nearby town center is home to more than 100 boutiques, restaurants, and bars, offering up cuisines to suit any taste, including popular ice cream parlors and candy shoppes to satisfy kids' sweet tooth. Sea Camp Beach is the closest visitor beach to Georgia's Cumberland Island National Seashore, only accessible from the mainland via ferry service. Family visitors to the island can observe a wide variety of native animal species, ranging from wild horses and boar to armadillos, deer, and a large number of seabird and migratory bird species. Nature programming led by seashore volunteers offers information on the island's flora and fauna, perfect for educational family trips. Fire rings, grills, and picnic tables are offered at several sites on the beach for day use, with public showers and restrooms available for families to use after a day of swimming and beach play. Overnight stays are offered at Sea Camp Campground, which connects to the beach via a quarter-mile boardwalk. 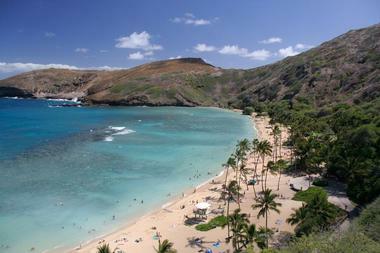 Hanauma Bay Beach Park has been voted as one of America's top beaches for visitors of all ages by Dr. Beach, attracting more than a million annual visitors to swim and snorkel within its protected marine life conservation area. The underwater park, which was established in 1967, is located within the volcanic cone-formed Hanauma Bay, located less than 10 miles from the lively Oahu town of Waikiki. Over 400 species of native Hawai'ian tropical fish line the bay, including the humuhumunukunukuapua‘a, the official state fish of Hawai'i. A marine education center is a must for first-time visitors, with a nine-minute informational documentary detailing the bay's diverse flora and fauna and unique ecosystem. A snack bar is offered along the park's upper level, with tram service available for a nominal fee between levels. Kauna'oa Bay is one of the few beautiful white sand beaches on Hawai'i's Kohala Coast, located on the western end of the state's Big Island approximately 2.5 miles from Kawaihae. 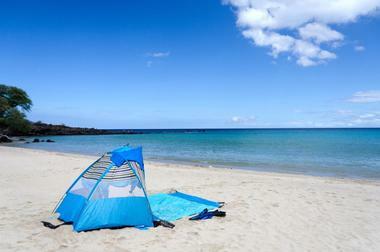 The beach has been honored as one of the nation's best beaches by Dr. Beach, offering convenient access to the nearby Ala Kahakai National historic Trail and Hapuna Beach State Recreation Area. 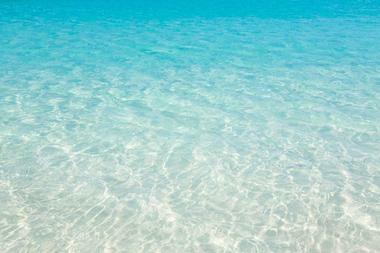 Pristine, calm blue waters make for excellent swimming conditions for young children and novice swimmers, with ample powder white sand offered for lounging and beach play. Ample opportunity for watersports is also offered, including kayaking and paddleboarding. Though unlimited beach access is offered for Westin Mauna Kea and Hapuna Beach Prince Hotel guests, visitors should note that non-guest access is restricted to the first 25 passes of the day. Manini'owali Beach is a lovely secluded white sand beach at Kua Bay, located within the scenic Kekaha Kai State Park on Hawai'i's Big Island near the town of Kailua-Kona. The beach, which has been named as one of the Big Island's most beautiful white sand beaches, offers excellent opportunities for surfing during high wave conditions in the winter, but during the summer, calm waters make for perfect snorkeling and swimming conditions for the entire family. 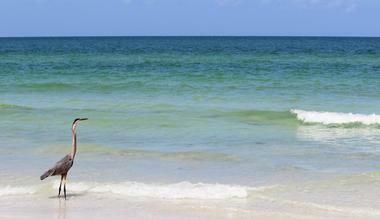 Turtle and dolphin sightings are common at the beach, making it a prime spot for family wildlife watching. Visitors should note that beach access requires climbing down approximately 10 feet of lava rocks and should plan accordingly for young visitors or visitors with mobility concerns. Coast Guard Beach is part of the beautiful Cape Cod National Seashore, consistently ranked as one of America's top 10 public beaches. The beach, which is located in the quaint Massachusetts town of Eastham, is a popular hangout for teenagers and families during the summer months, with large waves creating prime conditions for boogie boarding. 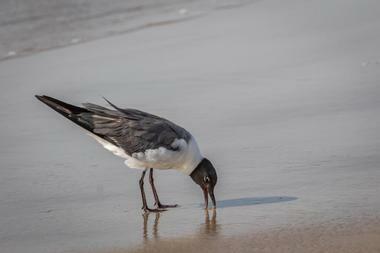 Visitors can observe shorebirds such as endangered nesting plovers at Nauset Marsh, watch harbor seals at Nauset Spit, or stroll along the scenic Great Beach stretch, named by famed 20th-century author Henry David Thoreau. Ranger-led hiking, canoeing, and snorkeling excursions are offered, along with historic architecture tours and group yoga for participants of all ability levels. Though beachfront parking is limited to residents, a beach shuttle runs every 5-10 minutes from a lot on nearby Doane Road. Ocean City Beach is home to one of America's most-acclaimed boardwalks, stretching three miles along the gorgeous Atlantic Ocean waterfront. The popular tourist beachfront is entirely free to access and is a lively spot for swimming, surfing, kayaking, canoeing, and fishing year-round for beachgoers of all ages, patrolled by lifeguards during the summer months. It has been voted as one of the nation's top family beaches for its ample children's playgrounds, kid-sized tennis courts, and Tuesday evening Family Beach Olympics events, which feature tug-of-war battles, sandcastle-building contests, and relay games. Roller coasters, Ferris wheels, and other amusement rides line the boardwalk, along with souvenir shops, ice cream parlors, and fun fair food vendors. Special events during the summer months include free movie nights and Sundaes in the Park events, which cap off with nightly fireworks. South Ocean Beach is a charming white sand beach on Assateague Island National Seashore, which is overseen by the National Park Service and jointly located within the states of Maryland and Virginia. The seashore serves as a vital wildlife refuge for more than 320 species of migratory shorebirds, with protected sand dune, wetland, and marsh ecosystems ensuring biodiversity for future generations. Unspoiled beachfront areas offer opportunities for kayaking, fishing, boating, birdwatching, crabbing, and beachcombing, with shoreline cruises offered for opportunities to see the island's population of wild ponies. 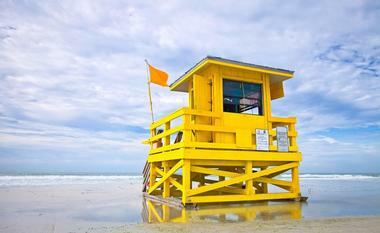 Lifeguards are staffed on the beach during the summer months, with protected safe areas for swimming and surfing. Nearby on Chincoteague Island, a plethora of dining and lodging options are offered, including campgrounds and bed and breakfast facilities. 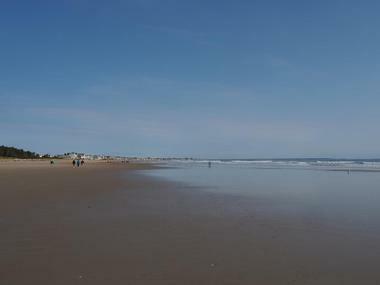 Ogunquit Beach is a luxurious extra-soft white sand beach located adjacent to the quaint Maine town of Ogunquit, which is home to attractions such as the Ogunquit Museum of American Art, the Leavitt Theatre, and the Ogunquit Playhouse. The stunning three-mile beach, which stretches for three miles along the city's waterfront, has been acclaimed by Yankee Magazine as one of New England's top beaches, offering a respite from busier beach boardwalks closer to New York. 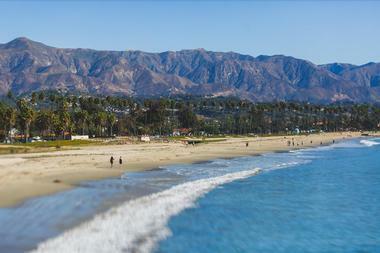 Three public beach areas are open during daylight hours, including spacious Main Beach and secluded Footbridge Beach. 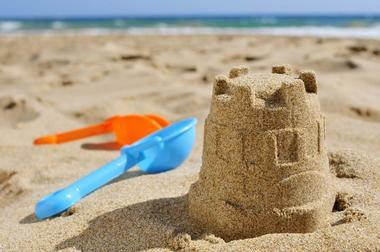 Family-friendly activities abound, including an annual sandcastle contest in July and a kite festival in September. Nags Head Beach is one of the Outer Banks' top tourist destinations, located within the laid-back beach town of Kitty Hawk, best known as the site of the Wright Brothers' historic 1903 airplane flight. The charming beachfront offers attractions to suit all visitors' tastes, from boutiques, restaurants, and museums within the city's downtown district to maritime forests and trails within nearby Jockey's Ridge State Park. The city's spacious beachfront is a popular spot for kiteboarding, kayaking, and swimming, with pier fishing offered at the newly-remodeled Jennette's Pier, which is also home to a youth educational center and museum offering educational programming during the summer months. Go-kart tracks, miniature golf courses, and ice cream parlors will keep young ones entertained, with a number of movie theaters and the only bowling alley in the Outer Banks located nearby. Ocracoke Beach is one of the Outer Banks' top hidden gems, located on its namesake island, which is only accessible via passenger ferry services from mainland North Carolina and via the public-use Ocracoke Island Airport. 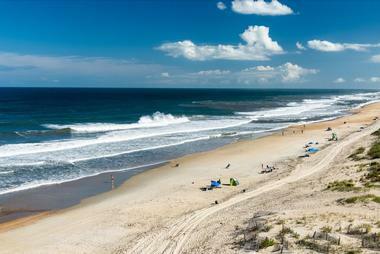 The hidden-away island offers 15 miles of splendid undeveloped beaches that are part of the expansive 70-mile Cape Hatteras National Seashore, overseen by the National Park Service. 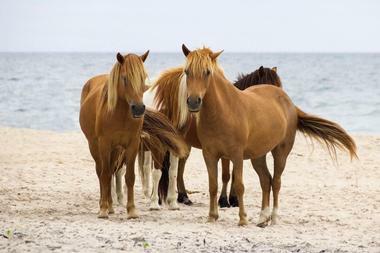 Visitors of all ages can fish, swim, surf, and beachcomb for seashells along the island's beachfront or catch glimpses of the island's historic wild pony population, descendants of majestic mustangs kept by Spanish explorers that ran wild after a shipwreck. Charming shops and restaurants are located within the National Register of Historic Places-listed Ocracoke Village, the island's only populated area. The Ocracoke Island Lighthouse stands 75 feet above the island, dating back to 1823, making it the state's oldest still-operating lighthouse. 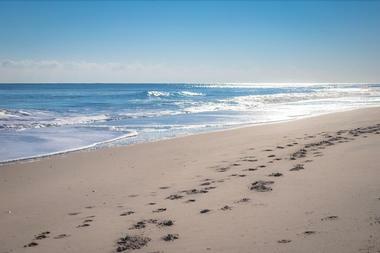 The Cove Beach is one of Cape May's most popular beaches, known as a prime spot for surfers throughout the year. Gently-sloping sands make the beach a favorite summer spot for families, with changing tides creating constantly-changing shoreline views from any relaxation spot. Beachcombing is a popular visitor activity, as ungroomed sands hide a myriad of unusual seashells, fossils, and pocket-sized beach artifacts. Each evening, a flag-lowering ceremony is visible from the beach, which is considered to be one of the Cape's most striking sunset-watching locations. Nearby in the town of Cape May, visitors can dine at restaurants to suit any tastes, shop at charming boutiques and antique stores, or take children to attractions such as the Cape May County Zoo. Cooper's Beach is one of America's top urban public beaches according to Dr. Beach, located along the southern shores of Long Island overlooking the spectacular Atlantic Ocean. The fantastic beach is a favorite for city dwellers and urban tourists, only two miles from the town of Southhampton and easily accessible via the New York City public transit system. Glittering sand dunes and impressive mansions back the beautiful beachfront, which offers full public amenities, including concession stands, chair and umbrella rentals, and a bathhouse. Waters stay temperate throughout the summer thanks to shielding from the ocean's Labrador currents, with lifeguards staffed on duty during the summer months. Bodyboarding and surfing are popular activities due to prime wave conditions, though smaller waves closer to the shoreline keep the beach safe for young swimmers. Islanders Beach is a relaxing local beach on Hilton Head Island's midsection, known as a prime spot for families and visitors looking to get away from the island's more heavily-touristed areas. The beach is accessible via Folly Field Road and offers a full park facility for visitors, including a picnic pavilion and grills for day use and one of the island's largest playgrounds, complete with slides, swings, and seesaws for young ones to enjoy. Expansive sandy seashores offer safe swimming conditions, with lifeguards staffed on duty during the summer months. Outdoor showers are offered for cleaning up, with accessible restrooms offered for visitors with mobility concerns. A charming boardwalk bridge is also ADA-accessible, ensuring fun for the entire family. Kiawah Beachwalker Park is the only public beach on South Carolina's Kiawah Island, located approximately 45 minutes from Charleston. The lovely public beach is maintained as a joint venture between the Kiawah Development Partners and Charleston County's Parks and Recreation Department, spanning 11 miles along the Bohicket River and the Atlantic Ocean coastline. Calm waters make for great conditions to let young ones play and swim, with lifeguards staffed on duty seasonally. 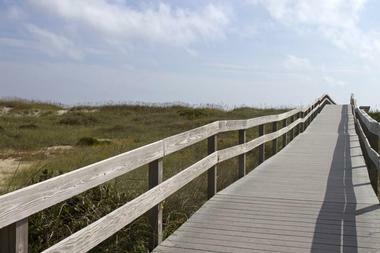 A boardwalk with accessible ramps lets visitors with mobility concerns meander through overhanging live oaks and palmettos, with beach-accessible wheelchairs available with advance reservations. Dogs are permitted on the beach on leashes, making the beach a perfect spot for families looking to bring Fido along in tow. 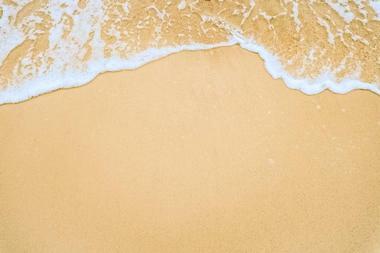 Malaquite Beach has been named as one of America's best beaches by MSN, located along the Gulf Coast in Corpus Christi within the Padre Island National Seashore. The beach showcases a gorgeous white sand shore brimming with sand dollars, with a lack of vehicle traffic making it a perfect spot for children to frolic and play safely. Sea turtles and shorebirds abound, with stunning panoramas making for ideal photo opportunities from nearly any spot on the beach. Overnight camping is permitted, creating a unique opportunity for families to fall asleep under the stars with the calm ocean breeze in the background. Annual public special events include a February kite festival and an annual sea turtle release and celebration. During the summer months, families can drive up to the nearby Schlitterbahn water park, known nationally for its massive, innovative water slides and rides. 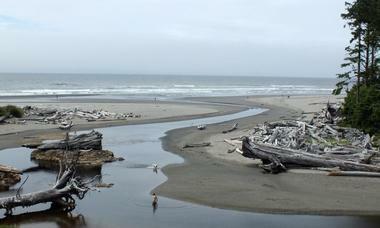 Kalaloch is a stunning beachfront resort area in Jefferson County, serving as one of Olympic National Park's most popular tourist spots. 73 miles of beautiful coastline are showcased throughout the region, with seven beach nature trails leading down to coastal hikes for shoreline exploration. Tide pools make for perfect sites to spot sea urchins, sea stars, anemones, and crabs with young beachgoers, with sea otters, shorebirds, dolphins, and whales visible on the coastline. Fishing and shellfish harvesting are allowed with valid permits, though swimming is not recommended due to dangerous riptides and drifting logs. Overnight accommodations are offered at campgrounds on South Beach, with guest rooms and rental cabins available at the majestic Kalaloch Lodge.